As you’re making your list for what you hope Santa Claus will be bringing you this year, here are a few tech gadgets and goodies that you might want to include. I’ve also got a few suggestions for the important people in your life, in case you’re stuck for what to get them this holiday season. Happy tech! Children and teens will love the features of the JBuddies Studio Headphones. 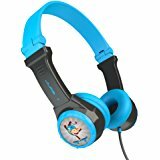 Designed for ages 6 to 16, these can save you from having to hear the latest Disney song one more time or the “music” that your teen is currently into. They are volume limited (to 85db) to prevent hearing damage and come in a variety of colors, which will make your older child happy. The cable is tangle free (great for the younger kids) and they fold when not in use for easier transportation. They are also guaranteed for life. At just $19.99, they are a great deal. Get your young children started on a career in STEM with the Cubetto Playset Coding Toy. 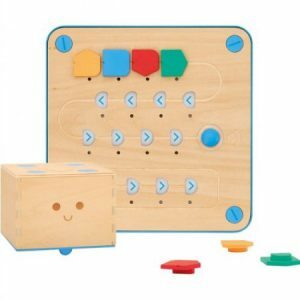 Designed for ages 3 and up, children help Cubetto, a wooden robot, navigate a magical world by writing their first programs using hands-on coding blocks. If you’re worried about your children having too much screen time, Cubetto is perfect for you as there is no screen. This device is such fun that kids won’t even know that they are learning while playing. It is pricey at $225.95, but well worth the cost. 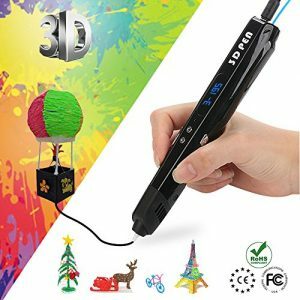 Encourage the artist in your child with the 3D Printing Pen for Kids. Designed to be safely used by kids 8 and up, the pen comes with a random selection of three different filaments. Besides encouraging their creative side, the device also reinforces spatial thinking, planning and organization, attention to detail, a DIY spirit, and hand/eye coordination. It is priced at $39.99. If you have a toddler investigating things around your house, then you’ll want to get several SnapPower Safe Lights. The Safe Light is an easy-to-install wall replacement switch that not only childproofs, but also adds illumination so you don’t need to take up one of the outlets with a nightlight. It doesn’t require any batteries. They are available in white, ivory, or light almond. You can get one of these for $16.95 or a pack of four for $60.95. If your favorite guy is always trailing cords and plugs with his gadgets, then think about getting him the stylish but manly Stud Satchel. This shoulder bag is perfect for carrying all of his tech, but doesn’t look like a lady’s purse. Available in olive or navy (very manly colors! 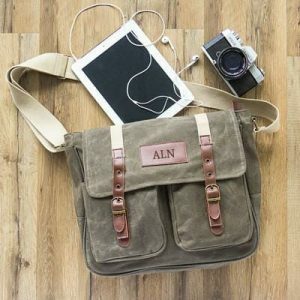 ), the bag can even be personalized with up to eight letters at no additional charge. It’s big enough to hold a small laptop or Chromebook, but not so large that it’s cumbersome. With lots of compartments and pockets, both a handle and an adjustable shoulder carrying strap, and made out of canvas and leather, your brother/significant other/father/male friend will love it. It’s priced at $49.99. Don’t forget about your canine companion this Christmas. 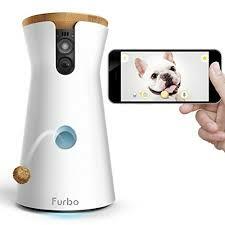 He will absolutely love the Furbo Dog Camera. With two-way audio and a WiFi pet camera, you can check in on your pal while you’re at work with the free Android/iOS app. And what makes it especially fun is that you can fill it with over 100 pieces of your dog’s favorite treats and the device will let you toss them to him. At $169.95, this is an expensive gift for your pet. But you can’t put a price on love! One of my new favorite gadgets for learning is the QBall. This is a throwable microphone system that connects to the teacher’s audio system, whether that’s an expensive one or just a set of computer speakers. It gives every student in your classroom a voice and ensures that what each one says can be heard by all of the others. Since it’s made of light, durable foam, it can take a beating. And the microphone automatically shuts off while “in flight” so you don’t get any thumps or bumps over the speakers. It’s priced at $179, but there are discounts for bulk purchases. And they will accept purchase orders. If your students are using any kind of devices in your classroom, then you know that dirty screens are rampant. Purchase these Buff Quick Cloths and you can help them keep their screens clean. Priced at $5.98 for two, these microfiber cloths are washable and come in four great designs. Kick up your heels or just look stylish with the new Gemio Smart Band. 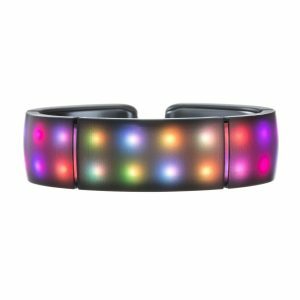 This customizable bracelet (for both men and women) has LED technology that creates millions of colors and endless light effects as it responds to music, movement, and the people around you. Snap-on Tiles let you change the band’s look in an instant and it’s rechargeable. A basic set starts at just $11.99. 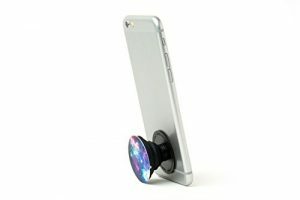 Make holding your device easier and more comfortable with the PopSocket Expanding Stand and Grip. This simple tool works on smartphones and tablets of any brand and will help ensure you never drop your tech again. It comes in a wide variety of stylish colors and folds to a very compact size when not in use. And at less than $9.00, it’s a bargain! You can never have enough power unless you have the Anker PowerCore 10000. This small (smaller than a deck of cards) external battery will charge any device up to three times before it must be plugged in. Priced at just $25.99, it’s perfect for carrying with you every day to ensure your device can go the distance. 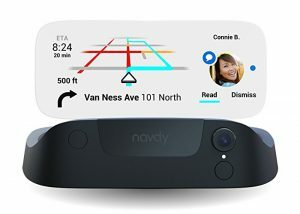 Add the power of augmented reality to your car while driving with the Navdy Windshield Projected Navigation system. Thedevice, which can be installed into any car, allows you to stay connected while driving with maps, calls, messages, music, and car information projected directly in front of you using AR. The image is completely visible even in direct sunlight. The system is priced at $399.99, but you’re worth it! Of course, in my opinion, the very best possible Christmas present for any educator is a one-year membership in TCEA, filled with all of the professional learning, networking, and resources possible. And it’s just $49! Regardless of the gifts you give or receive, TCEA wishes each of you a very wonderful holiday season! For Meghan Trainor, it’s all about the bass, but I think it’s all about makin’ it merry with animated GIFs! My colleague Miguel Guhlin inspired me and then taught me how to create an animated GIF. Check out my second ever GIF above with the holiday theme. I made my first animated GIF for Twitter. It showcased our wonderful presenters for the November TCEA Campus Technology Specialist Academy. I must say, I was quite jazzed at the result. I then put on my educator hat and wondered how could this be used in school. It could easily morph into a makerspace, a holiday art project, or a technology integration lesson. I changed the coloring of the lights and switched out the word “Happy” for “Holidays,” but used the same text box. *You do not want to change the alignment of the text. 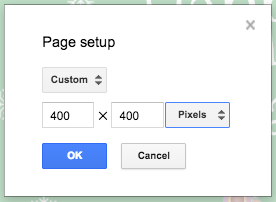 This will save the three slides as a .png. Be patient on this part. (It takes a little bit of time to make the magic work. 2. Click on the blue link to open up the folder in your Google Drive. 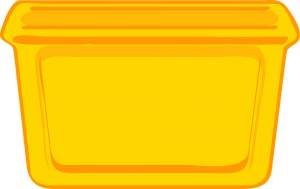 3.Download this file. On my Mac, it downloaded it as a zipped folder. I put it on my desktop and double-clicked on it to unzip it. View the GIF or Download the GIF. But you don’t really need to view it because you can see it in the control panel. Elf Yourself Special note: Fun to create, but the cost to save your song is $1.99. Make a Digital Breakout or try The Merry Merry Digital Breakout here. Don’t forget to join TCEA for our live virtual chat with Santa on Tuesday, December 12, 2017 at 2:00 p.m. CDT. As chill breezes cool their mornings, teachers’ hearts warm in anticipation of the holidays. Tap into children’s excitement about their special holiday by using the resources below to electrify your lesson planning efforts. A Colonial Christmas in Williamsburg: Acquaint students with how holidays differ today from the past. Holidays Around the World: Use the ten activities featured to help students learn about customs of the season in various cultures. Items are organized by grade level. Analyzing A Christmas Carol: Use resources offered to analyze Charles Dickens’ classic tale. Or see how one theater company puts together this famous holiday story. Elf Yourself: Create an elf video with up to four friends. Upload a photo or use your webcam to import pictures of their faces. You will all soon appear as cheery elves dancing up a storm. Portable North Pole: With a sprig of information, you can have this site create a customized video. You will receive a link you can share. Trading Card Creator: Studying a holiday tradition, person, or event? Students can create an informational card, whether for fictional or real person, place, or object. When complete, they save it as a PDF and/or email it. Celebrate Winter Holidays: Christmas: Learn to make no-bake Christmas tree ornaments, decorate a tree, and more at this site from Scholastic. Santa Tracker: Follow Santa on the web or via the free Android app. You can also see where Santa is with the NORAD Santa Tracker. Decorate Holiday Sheep with Google Slides: Let students practice their Slides skills as they decorate sheep for the season. 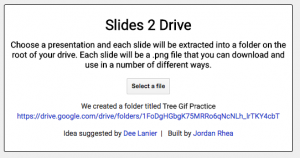 Be sure to first Make a Copy of the slide before letting them begin. Special Delivery: View this amazing Christmas video made by the Academy Award-winning studio, Aardman Animations (creators of Wallace and Gromit and Shaun the Sheep) using your Google Cardboard for 360 degree viewing. Christmas Fun: This Google Site has lots of different resources, including apps, games, printables, SMART notebook files, tree decorating, and more. 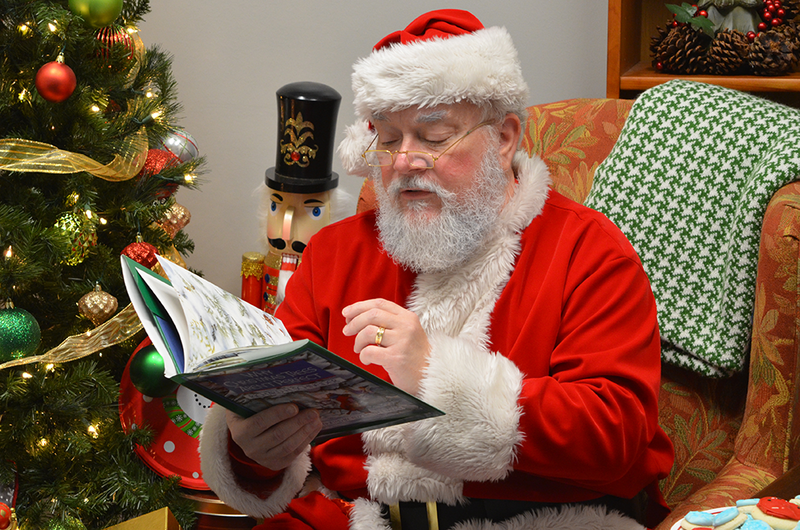 And don’t forget to join TCEA for our live Virtual Chat with Santa on December 12, 2016 at 2:00 p.m. CDT. Celebrate Winter Holidays: Hanukkah: Scholastic provides this site where students can learn about the holiday, make their own dreidel, and light the menorah. All About Hanukkah: There are a ton of resources, including some Hanukkah music to listen to, at this website. Play the Dreidel Game: This is an online version of the game for one or two players. Hanukkah Word Search: Add this extension to Chrome and your students can complete several word searches with Hanukkah vocabulary words. Create Your Own Menorah: Use Google Drawings or the free iOS app Doodle Buddy to have your students create their own menorah drawings. Celebrate Winter Holidays: Kwanzaa: Students can learn the basics about Kwanzaa, light the Kinara, send a traditional Kwanzaa greeting, and more at this site from Scholastic. Kwanzaa: The History Channel offers this excellent article for older students on the history and meaning of Kwanzaa. Kwanzaa Lesson Plan: This lesson plan for students in grades 4-9 has lots of different cross-curricular activities included with it. Seven African Folktales for Kwanzaa: These text-only tales would be a great starting point for students learning about Kwanzaa. 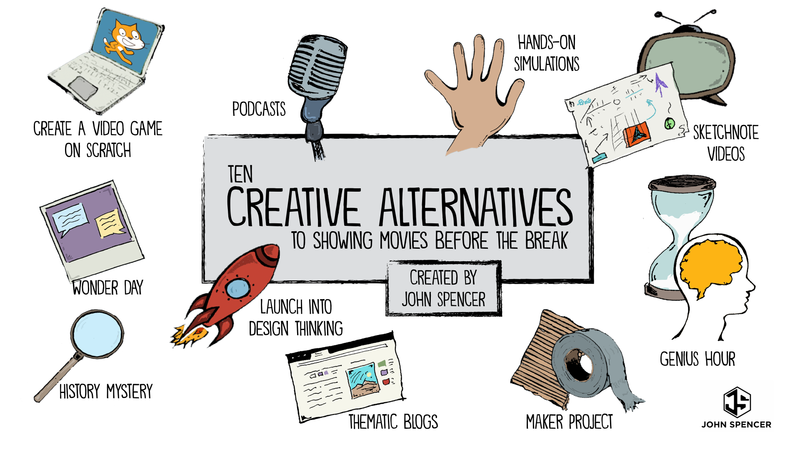 After reading them, ask students to illustrate the stories. The Gift of Holiday Traditions: Kwanzaa, Hanukkah, and Christmas: This excellent lesson from EdSitement takes a look at all three winter holidays through the lens of gift giving. Wintertime Magnetic Poetry Template: Make a copy of this Google Drawings template and have your students create poetry using words related to Christmas, Hanukkah, snow, sledding, and much more. Build a Snowman with Google Slides: This is a wonderful activity that can be carried well into January and February. Before students leave for their winter break, give them time to set their own resolutions for 2017 using any technology tool, website, or app that they have access to. Encourage them to share these with someone else for accountability (family member or another student) and to craft a plan of how they will accomplish their goals in the new year. You might even want to share one of your resolutions with them. Don’t let the holidays slip up on you unaware! Take the opportunity to deepen students’ understanding of the role holidays play in our lives. This blog was updated on December 20, 2016 with additional resources. Star Wars R2-D2 Bluetooth Speakerphone ($20) – Show off your Star Wars enthusiasm while listening to music and podcasts. It pairs with Bluetooth®-enabled devices (2.1) and it plays movie sound clips when the device is switched on, when pairing is completed, and when turned off. Cocoon Grid It Organizer ($17) – Use this chic but manly carryall to hold all of your cables, flash drives, dongles, and tools. No Place Like 127.0.0.1 Non-slip Doormats ($17) – You know geeks are welcomed when you arrived to the office or home that has this doormat. While others may look at it and scratch their head, you’ll be able to quickly identify someone’s geekiness when they react to this unique welcome mat. Circuit Board Ring ($22) – Be fashionable and resourceful by wearing a stylish ring handmade from real computer circuit boards. There are seven colors to choose from, so you are not stuck with the traditional green circuit board. SnapPower USB Charger – Outlet Coverplate ($22) – Just like you can’t have enough power outlets, you can never have enough USB charging outlets. This gadget can help add more USB convenience to outlets that you are frequently around without sacrificing the outlets themselves. 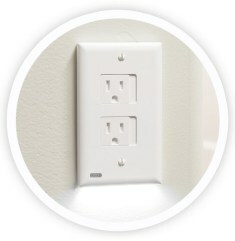 Simply take off your current outlet faceplate and pop this one on to extend the capabilities of the outlet. Fidget Cube($22) – If your IT person is always clicking a pen obsessively while listening, strumming their fingers on the desk while an update downloads, or making other distracting movements, you might consider the Fidget Cube as the perfect gift. This clever device allows them to satisfy their fidgeting while not being distracting to those around. If it is your office mate that fidgets, this may help save the relationship so you can still be friends. TrackR ($30) – With a TrackR device on your keychain and another on your phone (or anything you frequently lose), you’ll always know where it is. Consider purchasing in quantity to get discounts. Circuit Board Tie ($30) – Nothing shouts geek more than having attire that matches your hardware. Don your circuit board tie and let everyone know that you are the IT guy with all the answers. For just five dollars more, you can get the more gentlemanly bowtie which comes in black or green, each with gold and silver circuitry. Classic Pro Tech Toolkit ($65) – This toolkit has everything that an IT technician could dream of. It is fitted with tools based on data from thousands of tech repair guides. For just five dollars more, you can get the iFixit Pro Tech Toolkit – Government-Issue Edition used by both FBI and CIA. 16” Drifter II Laptop Backpack ($70) – IT guys/gals are known for having all the right gadgets, dongles, and cables so they are never left in the lurch. They’ll thank you for this great backpack so they can visit campuses and admin offices while easily carrying all their “necessities.” If you are looking for something even more impressive (i.e. expensive), then look no further than the Tumi Alpha Bravo Knox Backpack which will only set you back $365. Kymera Magic Wand Remote Control ($99) – IT geeks who like control may find this magic wand remote control right up their alley. Compatible with most home electronics, they can teach their wand up to 13 infrared remote control codes. While it won’t make their problems vanish, it might just make their day more enjoyable. Spire Mindfulness and Activity Tracker ($99) – Sometimes being in IT can be pretty hectic. Whether is it a virus that is running rampant throughout the district or another technical crisis, it is easy get worked up and tense. The Spire tracks your breathing and provides feedback to remind you when you need to just take a deep breath and realize it’s all going to be okay. Works with both iPhone and Android. Intel Compute Stick (Core m3) ($120) – Enjoy the features of a full computer on a stick. Just plug directly into an HDMI port on a monitor or TV and enjoy doing your work in Windows 10. It even includes three USB 3.0 ports to accommodate your keyboard, mouse, etc. Estream ($180) – Does your IT person like the great outdoors, but finds they are always tethered to their phone in case anything in the district goes wrong after hours? If so, they could use an extra battery or solar power to recharge their phone, but that is so last year. Water power is the new clean source for recharging devices. The Estream is a portable water-powered generator that fits into your backpack. The Estream is expected to start shipping in March 2017, which is perfect time to plan hiking, camping, and other outdoor adventures. Segway miniPRO ($600) – What IT guy or gal wouldn’t enjoy zipping around on their own Segway? Be sure they install the mobile app so they can get the fullest experience including remote control operations, customizable lights, and speed control,…oh, and anti-theft alarm. What gadgets and and devices have you found that any ed tech enthusiast would enjoy? We’d love to hear your ideas! If you’ve been good this past year, then you are probably busy creating a wishlist of what you hope Santa Claus (or one of his human helpers) will bring you this holiday season. 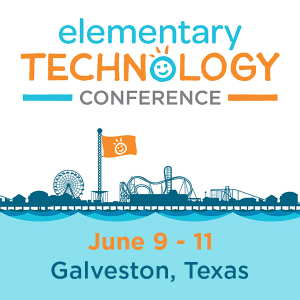 Here are some ideas for tech gadgets that the TCEA staff recommends you add to your list. 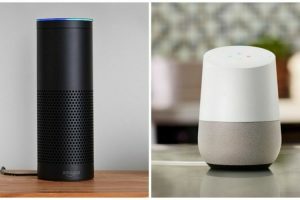 Amazon Echo – If you have an Amazon Prime account (and why wouldn’t you? ), then you really need an Echo. The Echo is a cylinder that connects to your home WiFi and can change your life. It is voice-activated and it really works (unlike other voice-activated services). You can ask it to play music through its amazing speakers, give you the weather, turn off your lights, create a shopping list, research a topic on the web, play games, tell you a joke, give you the latest news and sports scores, and so much more. And the Echo has new features added to it weekly. I love this device so much that I have now purchased two of them for my home. The Echo is $179. Tile – Do you constantly lose your keys or your wallet or your remote control? Tile (Gen 2) solves that problem. It is a quarter-sized device that can be fastened to any item.Then you use the companion app to find whatever the device is attached to. You can set the app to alert you when you venture too far from the item and can also use it to find your phone, even if it is on silent. It works with both iOS and Android and is available for $25. A four-pack is $70. Koala Tablet Wall Mount Dock – If you own a tablet and spend time watching movies or TV shows on it, you realize how heavy it can get after a while. The solution is this amazing dock. It uses damage-free 3M Command adhesive strips for mounting, allowing you to place it virtually anywhere in your home without screws or nails. It works on iOS and Android devices and is only $15. Satechi LightMate Emergency LED Flashlight – I keep one of these handy gadgets in the trunk of my car in case of problems. It is a long-distance, super-bright, LED flashlight and contains a 2200mAh portable power bank with a USB charging port and cable for emergency cell phone charging. It’s also waterproof and highly durable. It is $30. Flux Capacitor USB Car Charger – Go back to the future and keep your devices charged with this fun car accessory. With its two ports, you can charge two devices simultaneously and look cool while doing it. The capacitor is $25. View-Master Virtual Reality Starter Pack – Remember looking at slides from around the world with your plastic View-Master? Well, the View-Master has now gone 3D and is even more fun. Download the free virtual reality app, drop in a smartphone, and you will instantly be transported somewhere else. The Starter Pack, which costs $25, includes one preview reel, but additional sets can be ordered for just $25 more. And the app will provide lots of views at no cost. Petzi Treat Cam – If you worry about your pets while you’re at school, this WiFi pet camera and treat dispenser is for you. The audio link allows you to talk to your pet and make sure it’s behaving. If it is, you can give it a treat. The camera unit is $169. Logitech Bluetooth Multi-Device Keyboard – This wireless keyboard works with any device, including smartphones and tablets, and is just $45. Dancing LED Water Speakers – Hook these beautiful 9″ tall speakers up to any device with an audio jack and watch the show as the fountain spray increases with the volume of the music and the beat. With four colors, these two speakers are $30. Gemio Friendship Bracelet – Purchase one of these stylish bracelets and anytime one of your BFFs is nearby, custom “light tones” will appear and you can send private messages between the bracelets. You can also set the bracelet to flash to the beat of the music. This truly is “high-tech jewelry for the connected generation” and you can have one yourself starting at $80. 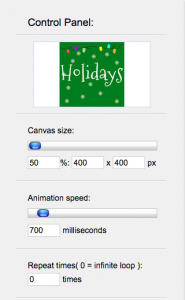 Looking for some fun holiday websites for your students? Here are a few of our favorites, both old and new. Grinch-mas is a new holiday tradition inspired by Dr. Seuss’s classic How the Grinch Stole Christmas! Grinch-mas encourages readers to “grow your heart three sizes” through the celebration of family reading, giving from the heart, and community spirit. National Grinch Day, on December 1, will kick-start the 25 Days of Grinch-mas. During this time, bookstores and local retailers all over the country will be hosting Grinch-mas events that will incorporate holiday storytimes for families with opportunities for kids to win prizes for doing good deeds throughout the month of December. It might be too late to join in this year, but the website includes print-color-create activities, clips to watch, and games to play. Watch Santa feed two of his reindeer during this holiday time. This easy-to-use website allows you to virtually cut folded paper and preview the snowflake. Whether you have students create a flake and then write a story of the flake’s travels or whether you have them incorporate specific mathematical features (rhombus, trapezoid, triangle, etc. ), this site will be a fun start. This site offers a super quick activity where you choose a holiday theme: Christmas, Hanukkah, Kwanzaa, or winter. Next, the user selects one of four holiday did-you-know trivia to include on the eCard. All that is needed to send the card is your name and the receiver’s name and email address. Mad Libs is a phrasal template word game where specific parts of speech are substituted for blanks in a story and then read out loud. A little history on Mad Libs: 110+ million copies of Mad Libs books have been sold since the series was first published in 1958. This site has some fun holiday-themed Mad Libs your students are sure to enjoy. Here you’ll find the lyrics to popular Christmas songs and carols. The Grinch Theme, of course, is included. Links to the full stories. 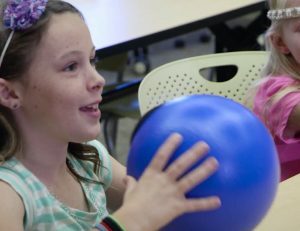 For even more resources, check out the TCEA Lunch and Learn Webinar for members on K-5 holiday lessons.